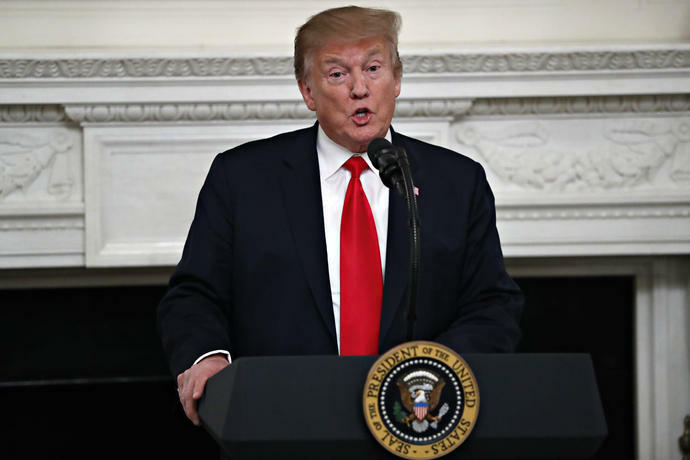 WASHINGTON (AP) - Democrats launched a sweeping new probe of President Donald Trump, an aggressive investigation that threatens to shadow the president through the 2020 election season with potentially damaging inquiries into his White House, campaign and family businesses. They are also an indication of the Democrats' current strategy - to flood the administration with oversight requests, keeping Trump and his associates on trial publicly while also playing a long game when it comes to possible impeachment. While some more liberal members of the Democratic caucus would like to see Trump impeached now, Democratic leaders have been more cautious. The 81 names and entities on the Judiciary Committee's list touch all parts of Trump's life - the White House, his businesses, his campaign and the committee that oversaw the transition from campaign to presidency. There are also people connected to Russian interference in the 2016 campaign, including participants in a meeting at Trump Tower with a Russian lawyer before the election.